1 May 2018 – Food Lover’s Market – in partnership with Tru-Cape Fruit Marketing, Simpl. 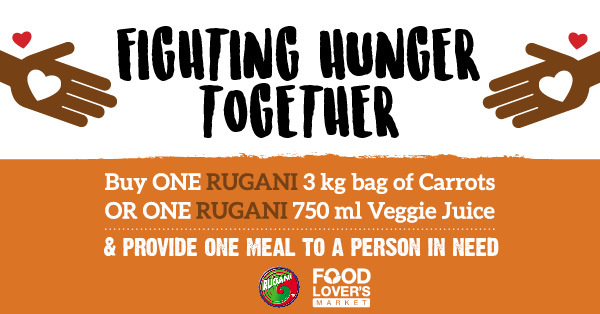 Juice and Rugani – is joining forces with FoodForward SA for the second consecutive year to feed vulnerable families in South Africa. 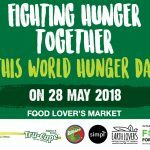 During the month of May, Food Lover’s Market is asking shoppers to support the Hunger Month campaign, culminating on World Hunger Day on 28 May 2018. World Hunger Day was created by The Hunger Project, a charity that aims to end hunger and poverty through sustainable, grassroots strategies. 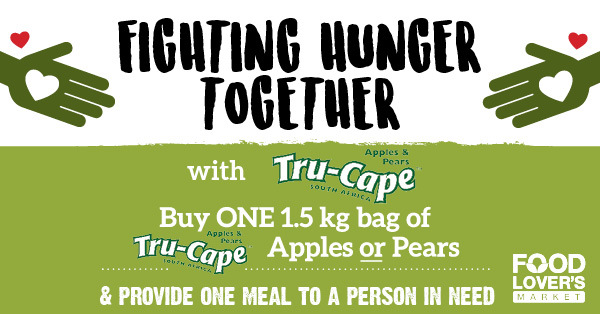 We are proud to be partnered and supported by them for Hunger Month SA. By purchasing selected products in store, shoppers will be able to contribute a meal towards one of the 14 million South Africans that go hungry every day. Any of these products, bought between 1 May and 28 May 2018, will contribute the required R0,79 FoodForward SA needs to provide one hungry South African with a meal. 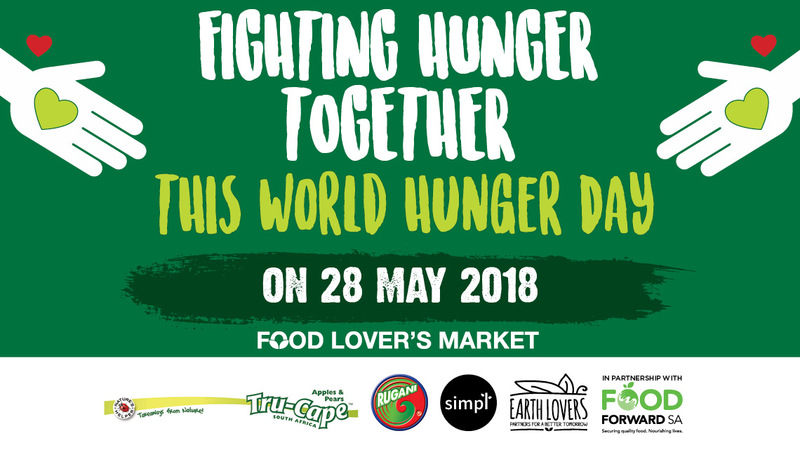 In addition to the month-long in store campaign, Food Lover’s Market will be donating 1% of its overall sales on 28 May 2018 towards the Hunger Month initiative. At the end of the 2017 Hunger Month campaign, a total of R243 937 was raised, which contributed to feeding 280 000 individuals. With Tru-Cape Fruit Marketing, Rugani and Simpl. 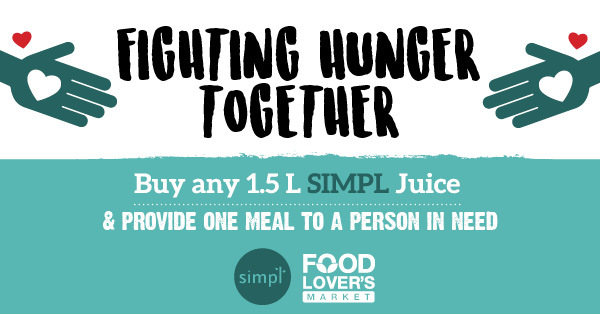 Juices on board, Food Lover’s Market aims to far exceed the R250,000.00 contribution in 2018.